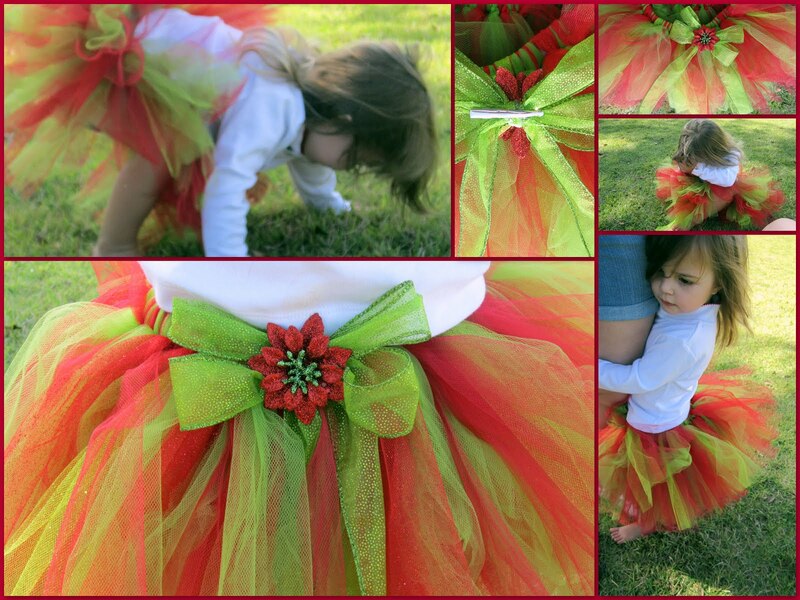 What a gorgeous tutu from lilLoveBowtique! Kati had it well packaged so all you have to do is fluff. 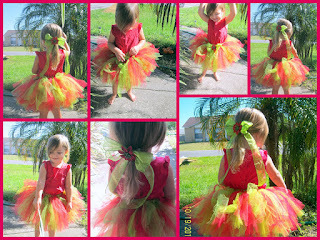 I love the colors its a festive bright neon green along with a red, completed with a cute mistletoe clip in the center which you can take off and place anywhere or in child's hair. Elizabeth loved it and kept doing the ballet pose with it. At lilLoveBowtique all the tutu's are priced from $22 to $30 depending on which you choose, along with other things Kati makes as well like hair bows which are anywhere from $4-$9 dollars depending on design. She has holiday, football, and seasonal tutu's. Most orders she hopes to have complete within 3-5 days of your order so plenty of time to get in some festive shopping. So come check out lilLoveBowtique for your holiday attire.